On both counts, the fledging beer production and distribution company fits the bill. Four of its five owners have a military background, and its original three founders are all hometown Mission boys who grew up together. The 5X5 has set up its operations on the northeast corner of the Mission Economic Development Corporation building. 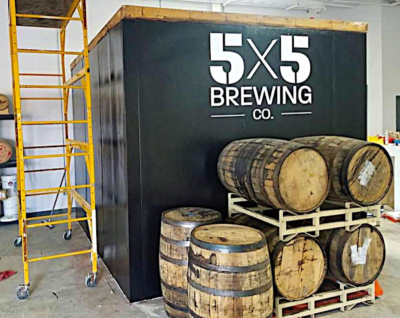 It held a boisterous and feel-good grand opening in mid-July in which their guests sampled their beers and congratulated the locally based partners of 5X5 for launching their dream of a business. 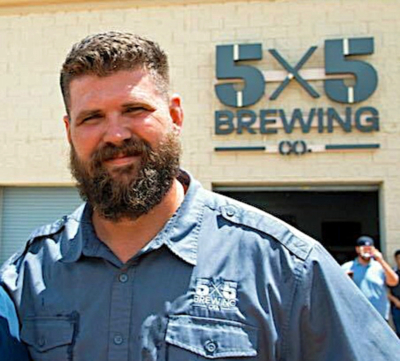 Rice and his brother, Matt Mazur, and their childhood friend, Sean Downey, envisioned a craft brewery that would manufacture and produce beer and then distribute it to area bars and restaurants, with the aspiration that 5X5’s business would eventually include can and beer sales. The first half of that dream is set to start in early September. The company has already signed an agreement with L&F Distributors to be its exclusive distributors in South Texas when it is ready to launch beer sales in area stores. 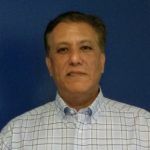 Drawing upon their military backgrounds, each of the partners has a distinct role to play in making the business work. 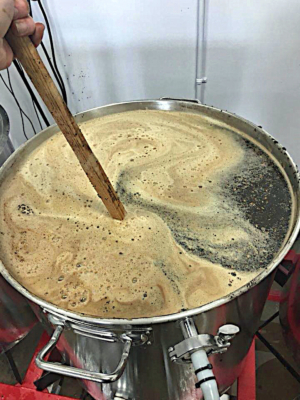 Rice is the brew master, drawing upon an engineering background from the oil business that he translated into the manufacturing of craft beers. Downey has a background in marketing and business administration that serves 5X5 well in selling and promoting its line of beers. Two additional partners and fellow military veterans – Domingo De La Garza and Alex Gelman – were brought into the group to add more business and administration expertise to the venture. The military-based camaraderie is very real in the 5X5 business culture, Downey said, and promotes values learned during their years of service. 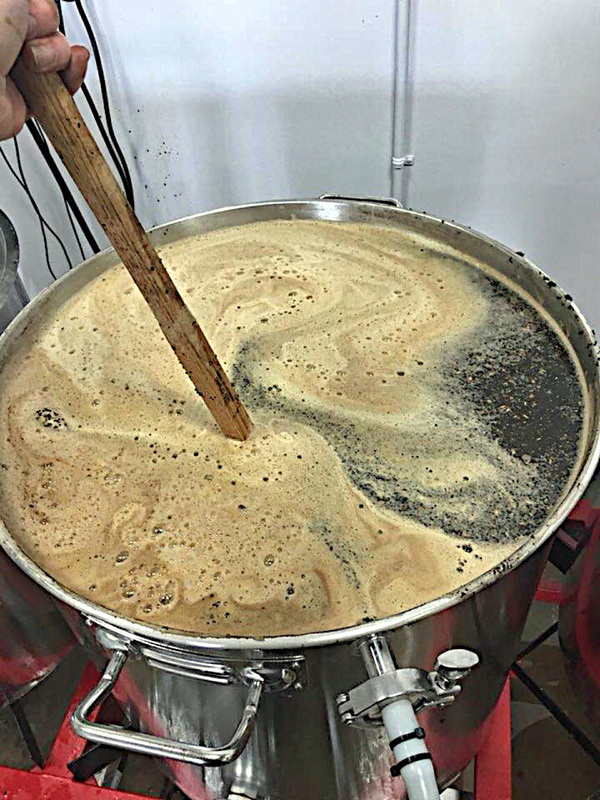 At its inception, 5X5 features three lines of beer, which Rice describes as being “sweet in profile” with crisp and light tones and a “lemony taste.” Knowing how to make a good-tasting beer is only one part of being successful, he said, and it means little if a business is unable to establish and maintain inventory and product. 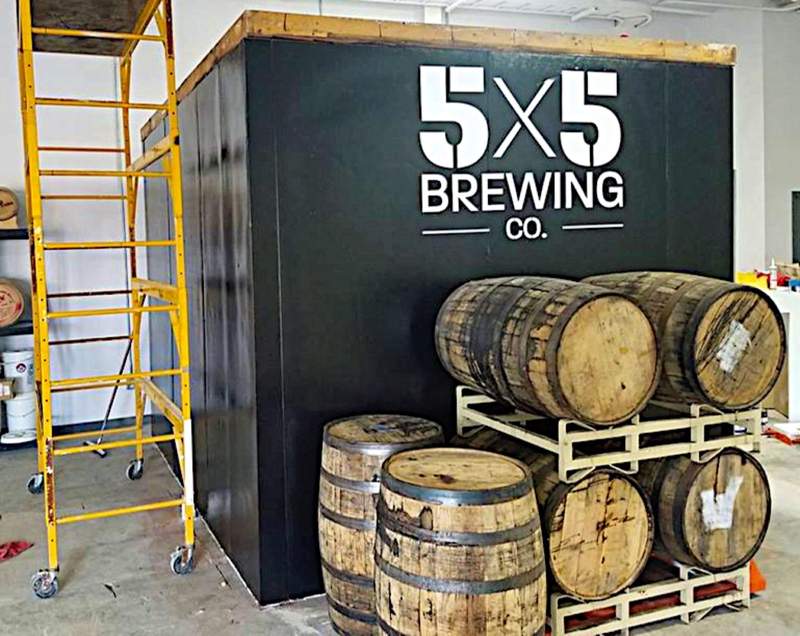 The 5X5 Brewing Co. appears on its way to meeting those challenges. A vision and a dream three Mission boys had years ago is now taking its first steps as a full-fledged business. They are grateful to their hometown for its support. “We went to different communities and when we showed up in Mission, they (chamber of commerce and EDC) asked, `What does your group need?’ They opened up a lot of opportunities for us and we wouldn’t be anywhere else.